Santovac® 5 and Santovac® 5P Ultra are polyphenyl ether synthetic diffusion pump fluids capable of producing ultra-high vacuum in the 10-10 torr range. Thermally stable with exceptionally low volatility, these non-halogenated water white fluids exhibit extraordinary resistance to degradation from heat, oxygen, radiation, and chemical attack. Due to this fluids extremely low vapor pressure, backstreaming characteristics are lower than any other fluid, resulting in less contamination and longer operation. 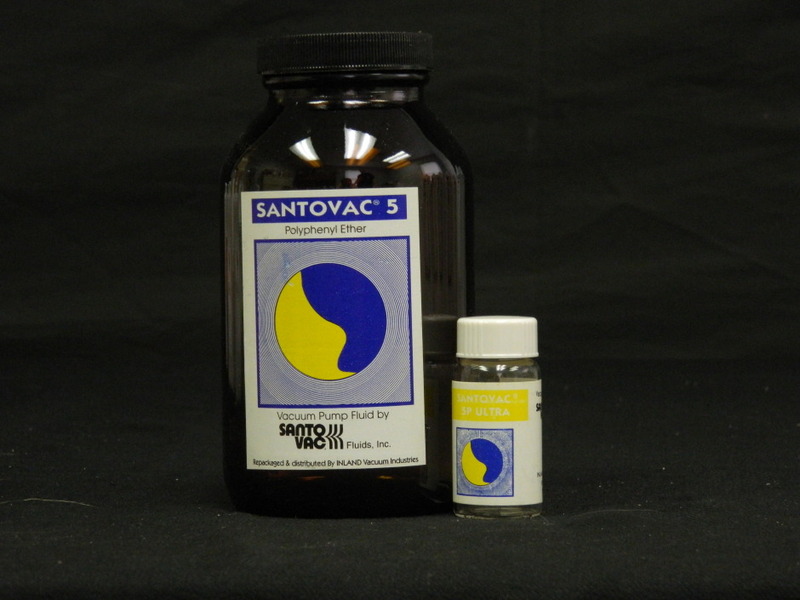 Santovac 5P Ultra and Santovac 5 polyphenyl ether fluids are ideal for use in many applications including laboratory, analytical and research operation, vacuum production, thin films, space simulation chambers, and optical coatings. Santovac 5P Ultra undergoes an additional vacuum distillation step to further reduce the 3-ring and the 4-ring ether concentrations to below 0.02% and 0.1%, respectively. A smooth baseline without mass signatures corresponding to the 3- and 4-ring polyethers is important in mass spectrometer applications.